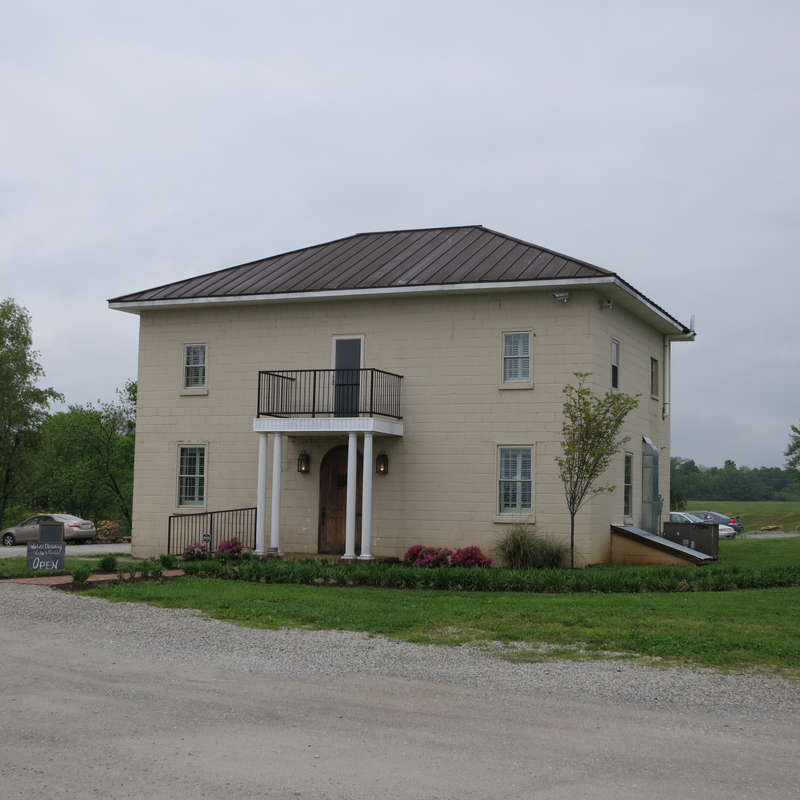 Welcome to our second entry for our Kentucky bourbon tour. 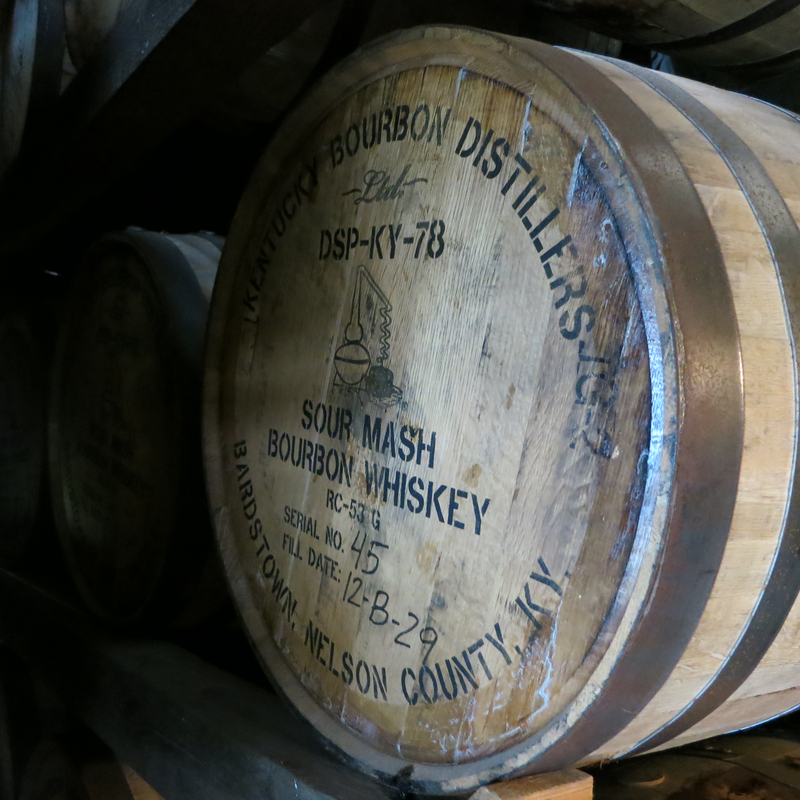 There are many bourbon distilleries in Kentucky, and of those, there were two that were “must sees” for us. One was Four Roses, the other was Willett. Neither us can remember exactly how we first found out about Willett’s bourbon and rye. We’re guessing drinking to excess may have contributed to that forgetfulness. 🙂 Anyhow, they have quickly become a Booze Nerd favorite. Both their bourbons and their ryes offer some really lovely expressions of those spirits. And for their rare releases, you can’t get much better value for the price. Our tour at Willett started at 10am. After a quick stop for donuts at Doughdaddy, we headed out to Bardstown. Thankfully it wasn’t pouring down rain this day. 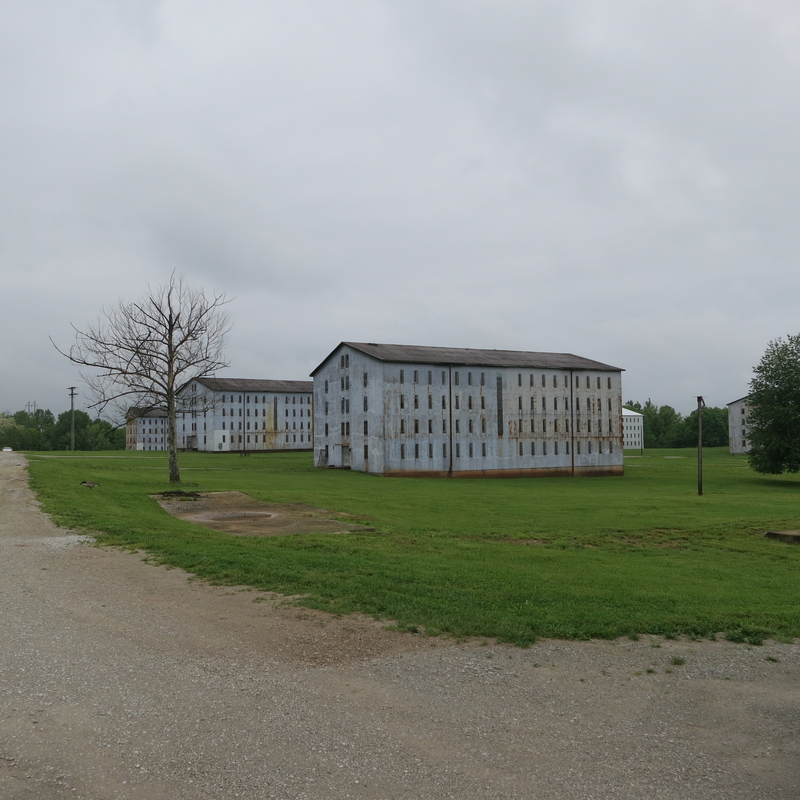 Willett is just past Heaven Hill’s warehouses and Bourbon Heritage center. After turning onto a dirt road, we found ourselves amongst aging warehouses and then saw their bottling building. Beyond that was the distillery itself (very beautiful, built of the native limestone) and the visitor center, which appears to be the original farm house. We were excited to see that in the visitor center, there were a number of rye and bourbons on offer that are not easily obtained elsewhere. Including a 20 yr bourbon, as well as a 23 and a 25 yr rye. After a quick intro, we headed out for our tour with our lovely tour director, Cindy. 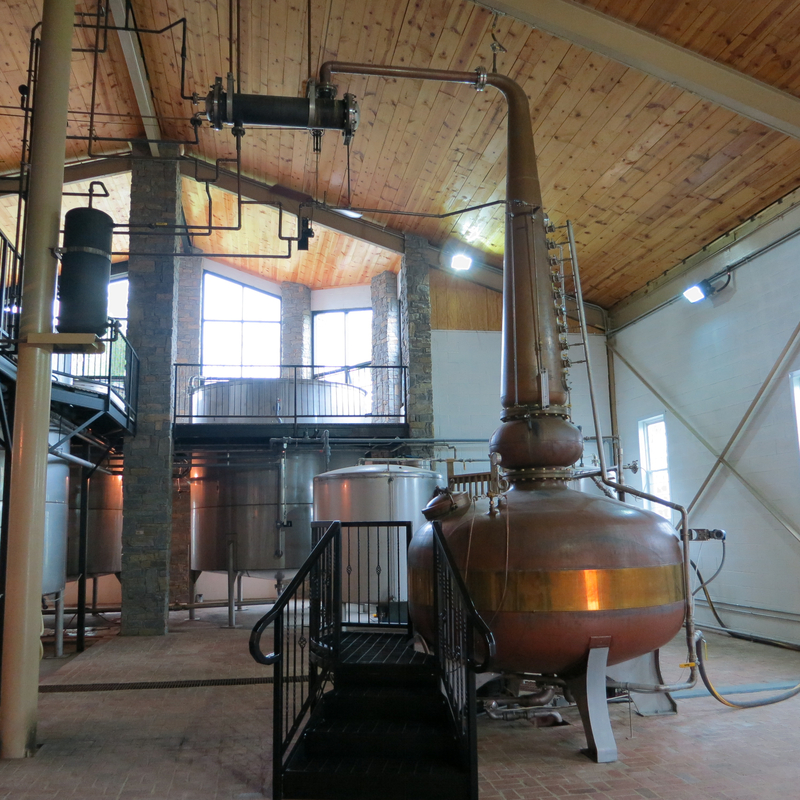 Inside the first room of the distillery building is their rather interesting looking pot still. 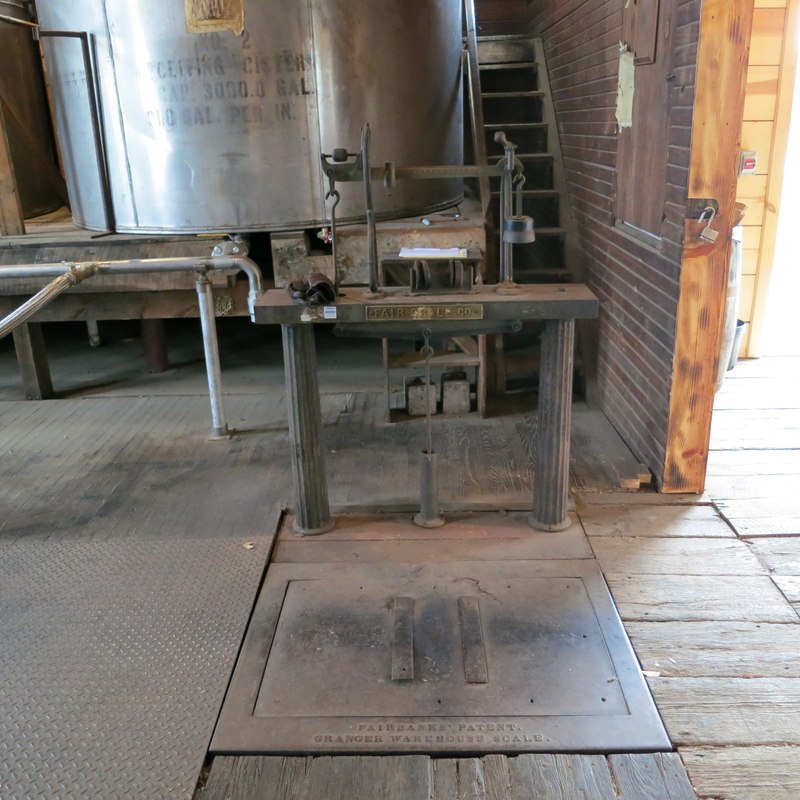 Apparently the fixtures off the neck allow them to more accurately control the distillation process. 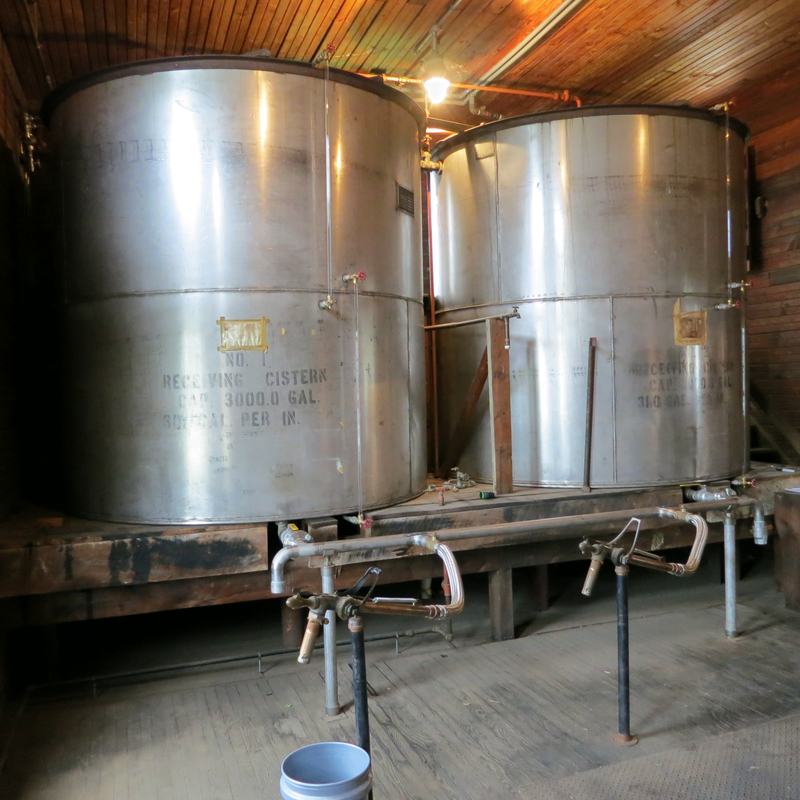 From there we saw the two “big” cookers, and then we went into the fermentation room. 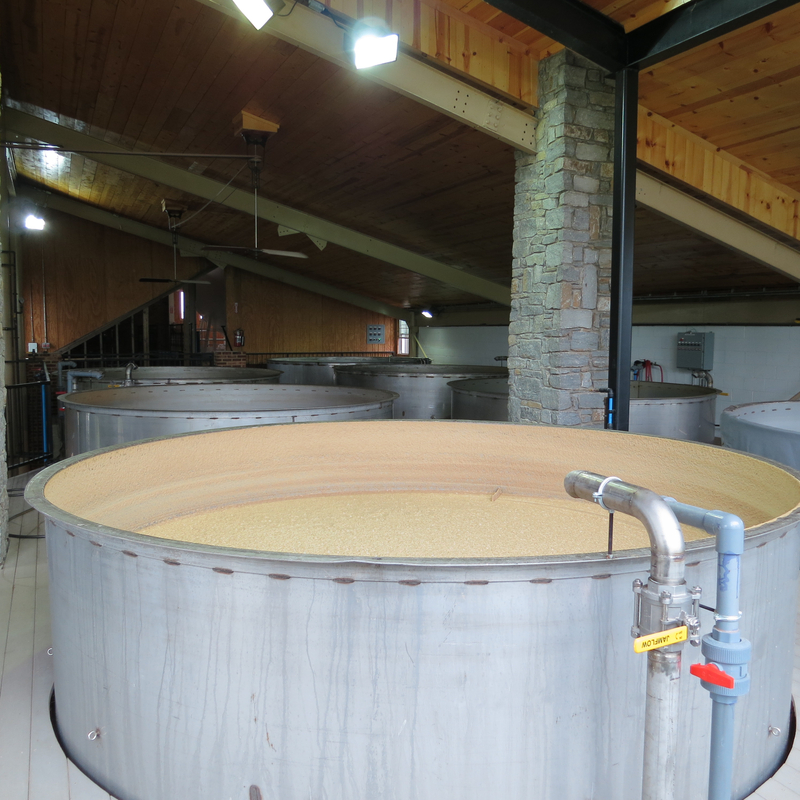 Willet has only nine 7,000 gallon tanks for fermentation – clearly a slightly smaller operation compared to Four Roses. 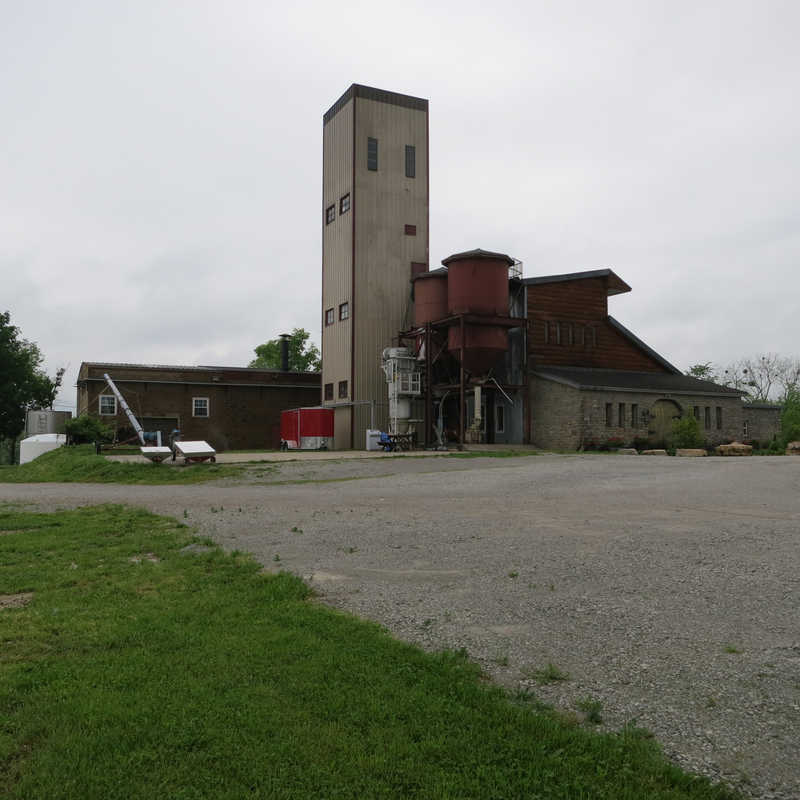 From the windows of the fermentation room, you could see quite a number of the Heaven Hill aging warehouses, and Cindy told us how they could see the Heaven Hill distillery fire back in 1997, including the rivers of burning bourbon. From there we moved onto the barreling room To give you some context as to the differences in scale of Willet, they barrel between 19-24 barrels a day. Cindy told us that one day they did 34 barrels and everyone involved was quite shocked by that and agreed it was too much. 🙂 In contrast Four Roses does ~250 barrels a day and operations like Heaven Hill barrels ~450 a day! And let’s not even talk about operations like Jim Beam and Wild Turkey. 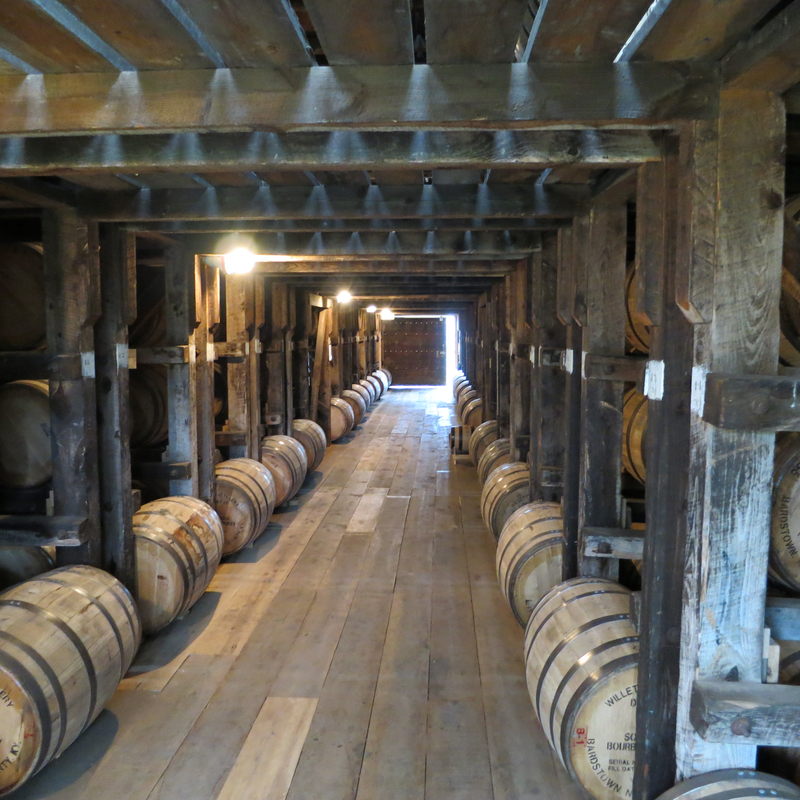 Then we went to take a look at one of their aging warehouses. Mmmmm, did it smell good. One of the barrels was leaking around the bung and Christa snuck a taste. Just a quick swipe of a finger, she didn’t actually start licking the barrel 😉 (she thought about it, but didn’t want them to ask us to leave). 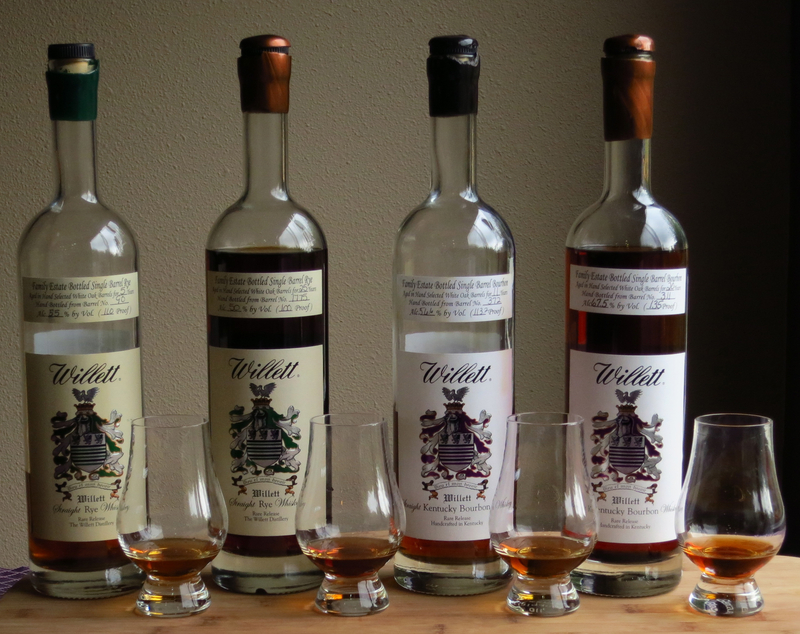 The tour concluded with tasting several of Willett’s delicious products, including their Noah’s Mill and Rowan Creek bourbons (both lovely), and purchasing a couple of their rare releases (the 20 yr bourbon and 25 yr rye) we’ve never seen here in WA. Palate: Cinnamon, faint clove, and orange/grapefruit peel right at the intro, leading into a fair bit of rye spice, black pepper, vanilla, caramel, and brazil nuts on the mid palate. More spice and a hint of meaty savoriness on the finish. Nose: Sticky buns! Butter, toffee, slight yeast. Oak notes as it warms up as well as subtle jasmine notes. Palate: Smooth intro, rye spice kicking in at the mid-palate and finish. Violets at the start, then very refined dark wood, leather, cedar, resin notes. Faint mint on the finish. Very dry given the nose. Very faint dried blueberry aftertaste. Nose: Lemon curd and marzipan/creamy candy notes, like nut nougat. Subtle oxidized notes ala sherry and port. Palate: Very warm, sweet intro with some nuttiness, like pralines, then some caramel-y oak notes on the mid-palate that follow through into the finish. Finish is spicy, a little hot, with a touch of lemon-y coriander notes. Nose: Sweet vanilla barrel notes, slight dusty smell like hot pavement. Musky melon and ripe pear under that for Christa. Burnt sugar under that for Shaun. Palate: Very sweet start almost like a cardamom or chai hard candy. Burnt sugar, black tea, and slight molasses on the mid-palate, as well as the tingly-ness of cloves (possibly just because it’s so hot ;)). Mild black tea astringency continues into a long, hot finish. Everything we’ve had from Willett is outstanding, and hopefully we’ve done justice in describing the library releases we picked up. They are truly spectacular – we expect we’ll find something new in them with every tasting. 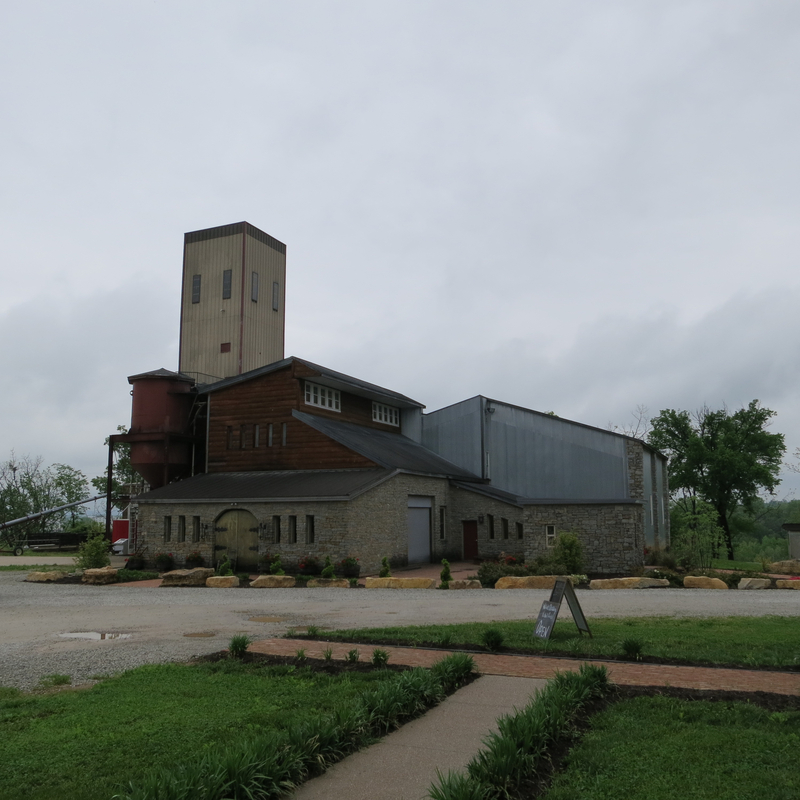 We encourage you to give Willett a visit should you ever find yourself in the Lexington area, and if not, you should avail yourself of their top-notch bourbon and rye at a store or browser near you. This entry was posted in Tasting Notes, Willett's and tagged kentucky bourbon tour, Willett Bourbon, willett rye. Bookmark the permalink.